About Us – Little Hearts Family Group Inc.
Little Hearts Family Group Inc.
Little Hearts Family Group Inc. is made up of parents and families of children with acquired or congenital heart disease. We are based in Saskatchewan, Canada. The purpose of the group is to offer peer to peer support to families that have children with acquired or congenital heart disease. We are here to answer questions and discuss what to expect when traveling to Edmonton for surgery or what may lay ahead for you and your family in the future. We are parents going through the same thing as you are and are here to talk. Another component of the group is our collective voice. We work with Pediatric Cardiology, the Children’s Hospital Foundation of Saskatchewan, the Mending Little Heart Fund of Saskatchewan, CHAMPS camp, the Western Canadian Children’s Heart Network and more. 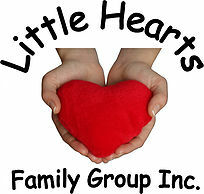 The Little Hearts Family Group provides peer support, raises awareness, shares information and advocates for quality care of children with acquired or congenital heart conditions and their families in Saskatchewan. have been possible without the support of our volunteer board members. Today, we honor their achievements. (Treasurer), as well as Jason Vogt and Lynne Telfer (Members at Large). Lynne and Charlotte are still active in the group. and educational needs, and are working to address these. the next decade takes the group. Families, come join us on facebook!